Enhance Your Smile And Change Your Life! You are used to looking your best. Even on your worst days, you’re not the type to let things throw you off. So why should a chipped, broken or missing tooth be any different? According to the Australian Health Policy Collaboration’s Oral Health Tracker, 90% of Australian adults have some form of tooth decay and 15% are missing 12 or more teeth! Tooth decay is a fact of life that affects just about everyone at some point in their lives and often results in depression, poor health and fear of intimacy. Are you experiencing any of these oral impairments as the result of birth, injury, poor dental habits or failed dental work? If so, you’re not alone and dental implants may be the perfect solution for you to straighten or replace your teeth for a comfortable bite, regain your beautiful smile and be your confident best at home, at work and in intimate moments for many, many years to come. That’s because your new dental implants look flawless and last forever. Why suffer through the depression of not wanting to smile or get too close to your loved ones? Don’t lose out on your loves in life. 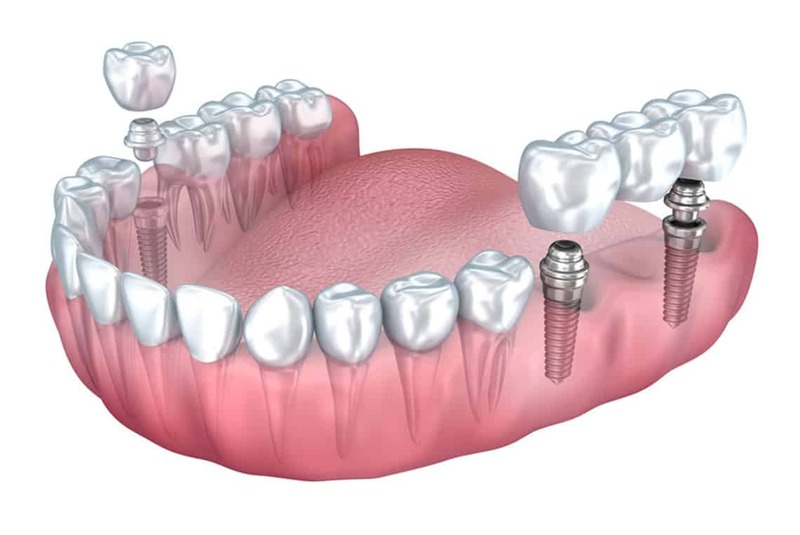 Single tooth implants are for patients who have lost a single tooth due to an accident or from periodontal disease. Your new tooth will look and function like your other natural teeth. Multiple implants are great for patients who are missing multiple teeth, but still have healthy gums and surrounding teeth. Two fixtures are implanted and the crown is attached, leaving your other natural teeth intact. 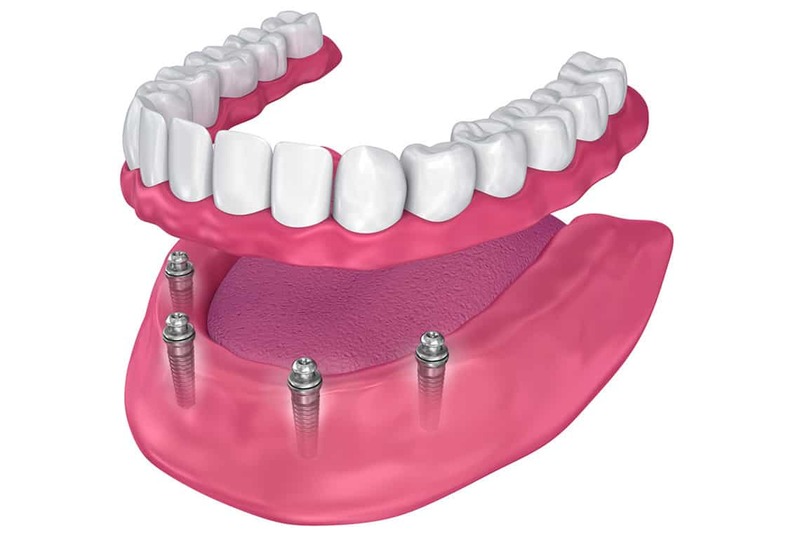 All-on-four implants are ideal for patients who are looking to replace a full upper and/or lower set of teeth. Four implants are inserted and then attached with a full arch of sparkling new teeth guaranteed to shine a lifetime. Whether you need full-mouth rehabilitation, a smile makeover or just a new set of porcelain veneers, Simply Dental’s advanced dental implant services will have you in and out with a brand new mouth all in one day with everything you need all in one place. Come on in and see how easy it is to restore your smile to its past perfection. Discuss your tooth replacement options with our dentists and come up with the perfect plan for making you feel better than ever forever. That’s because with single, multiple and all-on-four implants, you’ll never again have to worry about missing teeth, cavities or even dentures and messy adhesives. There are also some amazing long-term benefits you should be aware of. Dental implants have a 95% long-term success rate when properly taken care of and can last a lifetime, making them one of the best investments for tooth replacement you’ll ever make. Dental implants give you strong, full functioning teeth and can help improve your overall health by allowing you to expand your diet and eat healthier foods like nuts and fruits once again. Because dental implants integrate with the bone, they provide the stimulus to keep your jawbone from deteriorating, helping you maintain a more youthful facial structure, boosting confidence and leading to better oral health. And because Simply Dental Chatswood offers an all-in-one simple, surgical solution, you can have custom- crafted, natural-looking dental implants that are easy to maintain and last for decades to come while experiencing little or no recovery time. Don’t allow broken or missing teeth to rob you of life’s special moments one more day. Walk in and walk out with a set of brand new teeth. Our team of dental experts work together under one roof, in a fully equipped, onsite lab to design, build and install your beautiful smile in one day and in one place. 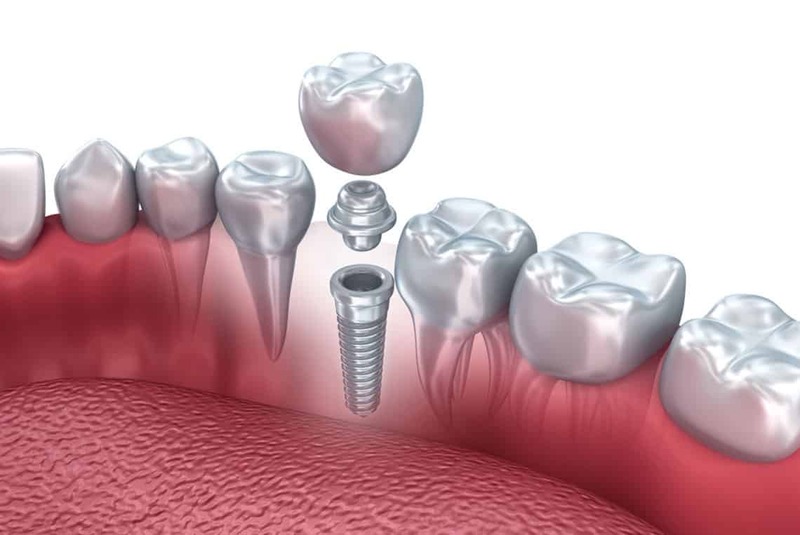 Dental implants are also affordable and may even be covered by your dental insurance. Why wait when beautiful, healthy teeth that last forever are a day away?